Take a starring role in a winter wonderland! 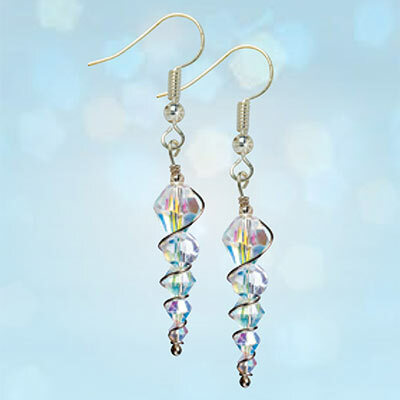 Spiraling earrings shimmer with tiny faceted crystals in an aurora borealis finish. French wires. 2"l.